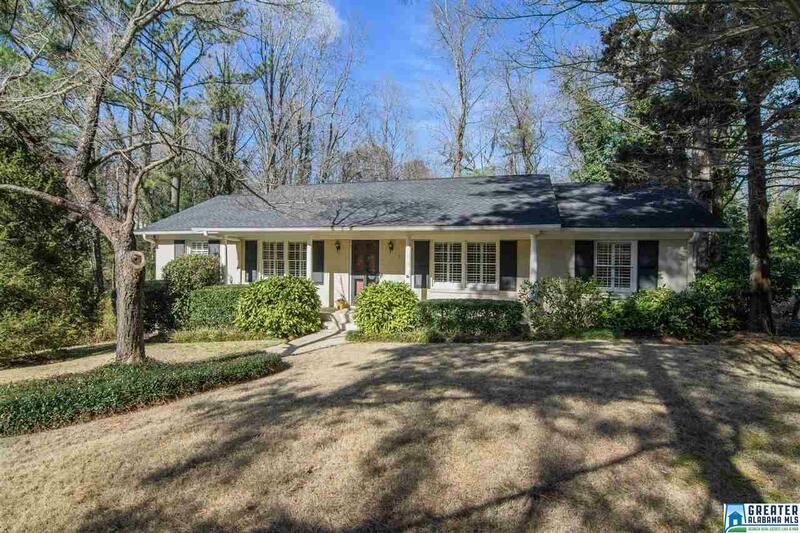 3404 Overton Rd, Mountain Brook, AL.| MLS# 840649 | Richard Jacks UABLIVING.com 205-910-2297 | Birmingham AL Real Estate | Contact us to request more information about our Homes for Sale in the Birmingham AL area. Fantastic, well-maintained 3 bedroom/2 bath home within walking distance of Brookwood Forest Elementary. Front porch leads into foyer, living and dining area with plantation shutters. Eucalyptus and mahogany hardwood floors throughout the main level. Kitchen is meticulously clean and has a breakfast area. Den opens to deck with a nice view and gas grill. All bedrooms on the main level with two full baths, master with shower and hall bath with tub/shower combination. Bonus room downstairs with laundry room. Washer and dryer to remain along with the extra refrigerator. Huge two-car garage with lots of storage. Plenty of parking in the driveway. Separate home office designed by Southern Living around 2010. Roof and deck new in 2011. Don&apos;t miss the chance to make this your new home! Driving Directions: Highway 280 To Overton Road. First House On Left After Briar Oak Circle.